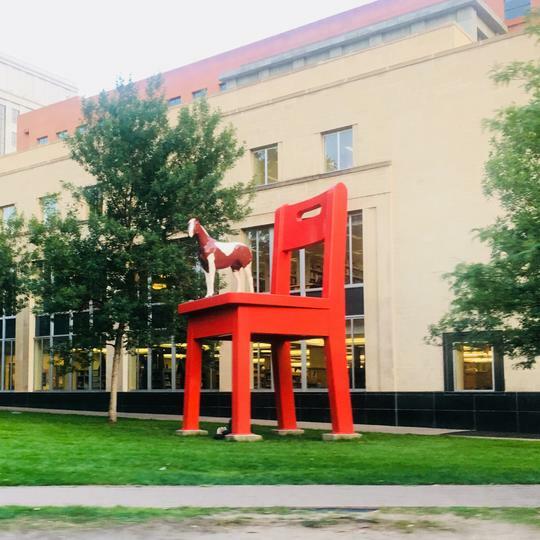 In Denver, Colorado, outside of the public library on the lawn you'll find quite a sight! 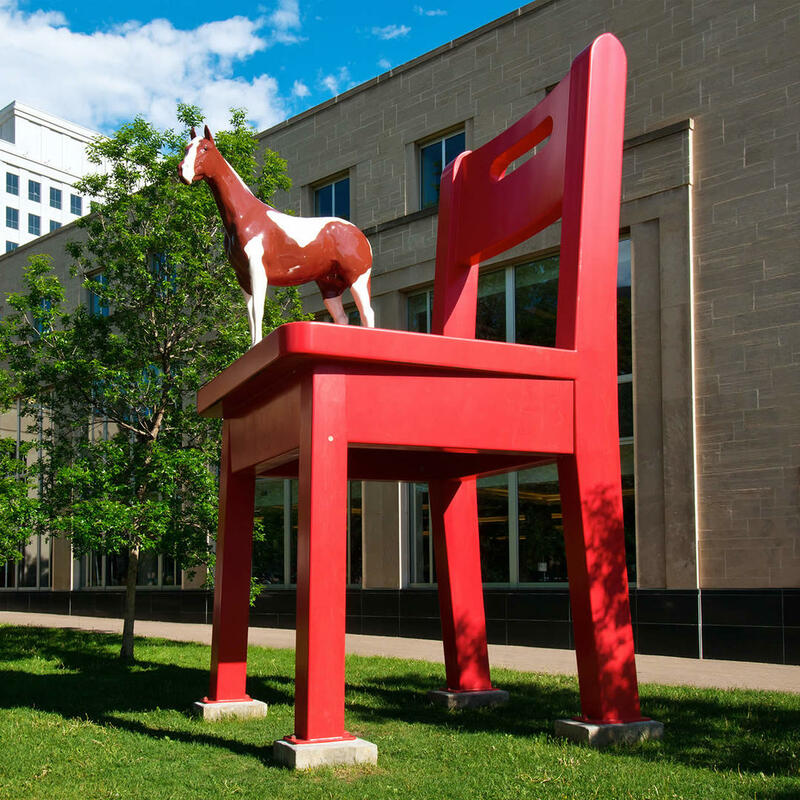 There you can see a big red chair with a small statue of a horse standing on its seat. 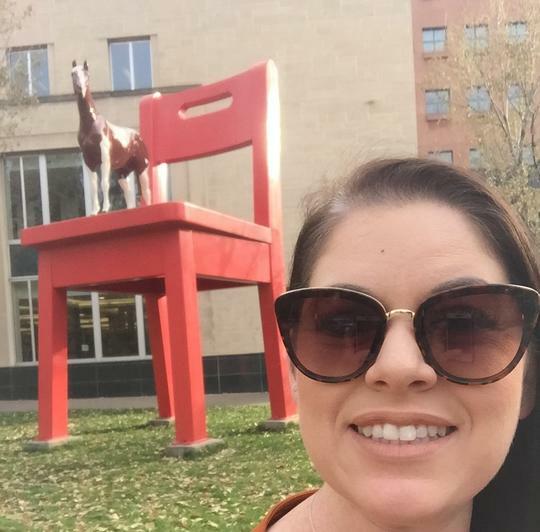 The chair is 20 feet tall (nearly two stories high)!